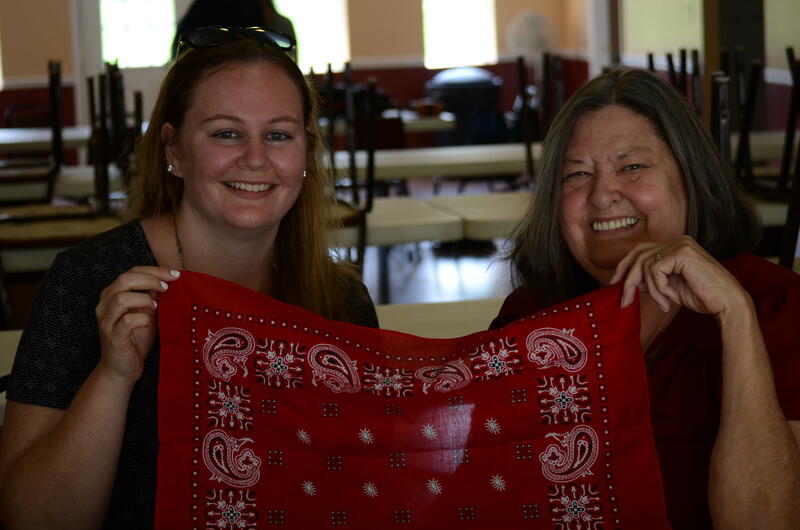 Field school student Tara Sottolano and Wilma Steele (art teacher, wife of a coal miner) hold a red bandana. 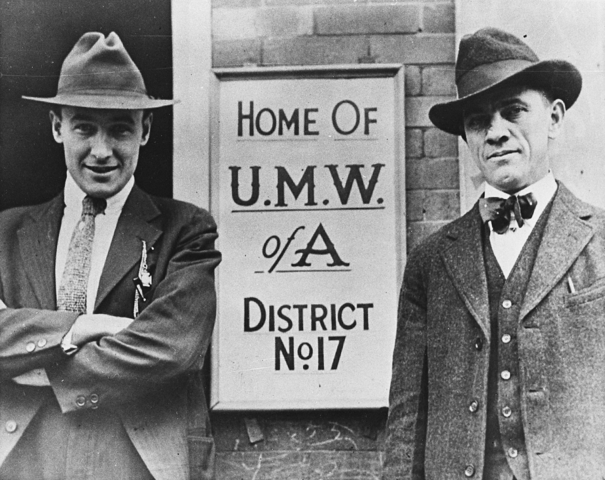 During the interview, Wilma explained how miners wore red bandanas around their neck to demonstrate they were union members. Ten folklore students from George Mason University in Virginia recently spent a week visiting central and southern West Virginia. 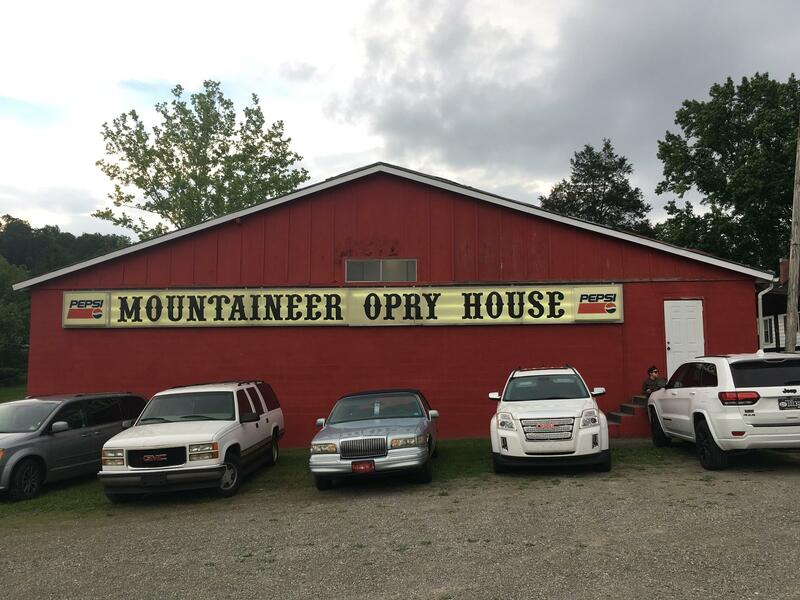 They traveled to five counties to learn more about the culture, stories and history found throughout our area and how traditions have impacted the personal lives of several West Virginians. For most of the students, like Alex Bridges, this was their first experience traveling to West Virginia. "We were talking to people, and they all were saying you know 'we’re a family here. We take care of our own. We care about each other in a very, very intimate way,'" she said. Bridges grew up outside Washington D.C. She has family who used to live in West Virginia, but she’s never had the opportunity to visit. "I honestly was not expecting to enjoy myself as much as I have, it’s a beautiful state, beautiful people, beautiful environment to be in and I honestly wish that I had been able to come here sooner in my life," she said. 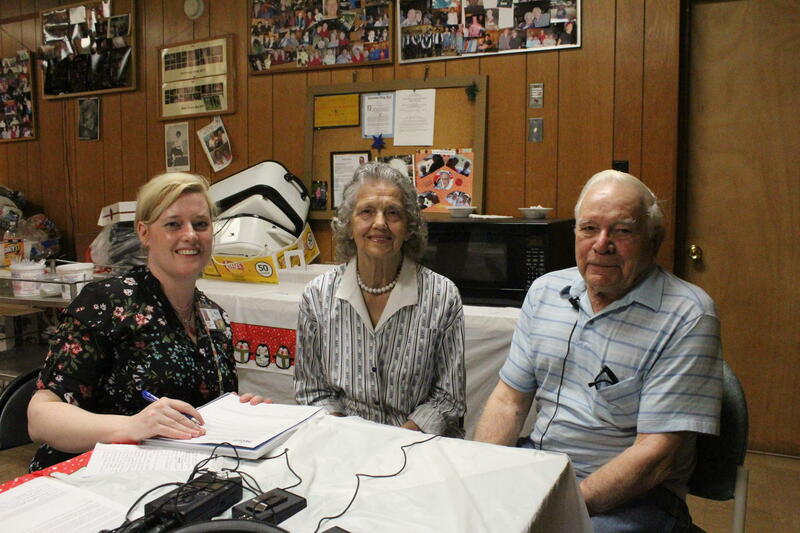 Over the course of a week, she and nine other folklore students traveled with their professor, Debra Lattanzi Shutika, to record oral history interviews with coal miners, musicians, and artists in Beckley, Logan, Matewan and Charleston. The trip was organized in collaboration with the West Virginia Folklife Program. 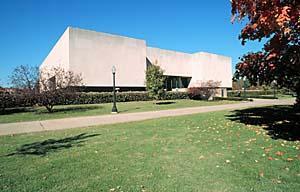 The 25 recordings will eventually be archived at the West Virginia and Regional History Collection at West Virginia University. 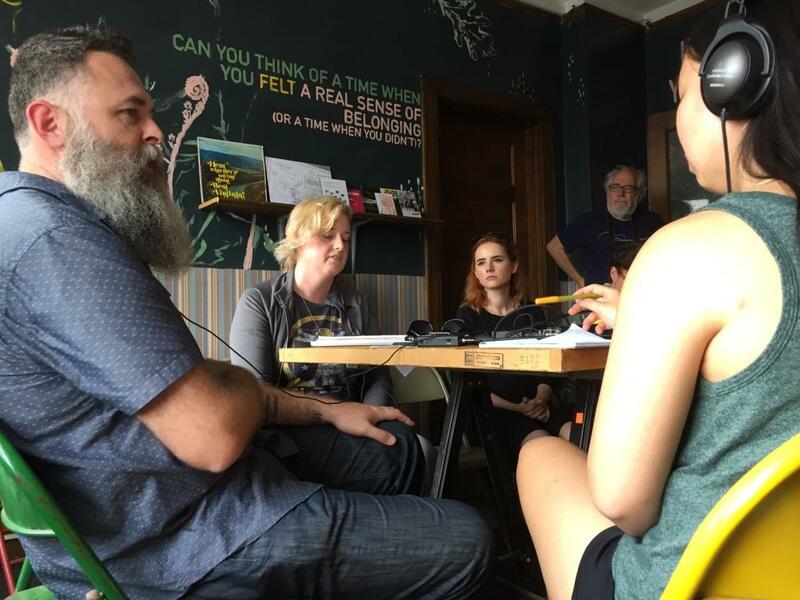 Documentary photographer Roger May being interviewed by field school student Shelly Cornwell with MacKenzie Edwards and Chris McGlone looking on. Amber Dube is wearing headphones and acting as recordist. "I think it’s been a struggle for us to help people realize that everyone has a story, and everyone has a unique story," said folklore student Luke Mitchem. Mitchem is originally from Missouri, and he was reminded of his father, back home, in many of these humble responses from West Virginians. He said his father is the type of person who would say "nothing special's happened in my life" other than his family. "But I know for a fact that my dad has had a much fuller and richer life than he would initially admit to," he added. Like some of the other students, Mitchem said he found a connection to the people he met through this project, something he says he’s missed, while in school in northern Virginia. He said the kindness of West Virgininans was refreshing. "It’s just a nice reminder that there is a lot of kindness out there and there’s a lot of love and there’s a lot of support for one another," he said. "That’s probably one of the biggest things I’ve pulled from this trip this week." Retelling and saving all kinds of different folklore is something several of the students say does matter. Even though most of the conversations focused on stories of the past, Bridges, from Virginia, said these types of stories can teach young people, like herself, important lessons for the future. "I feel like that old adage of history repeats itself is very important and very true," she said. "We can learn a lot from the past and from our older folks, and I also feel like it’s important to just preserve the stories." The students said they hope to return to West Virginia one day, to revisit some of the people they met on this field trip, and to discover more of the unique culture here in our mountains. 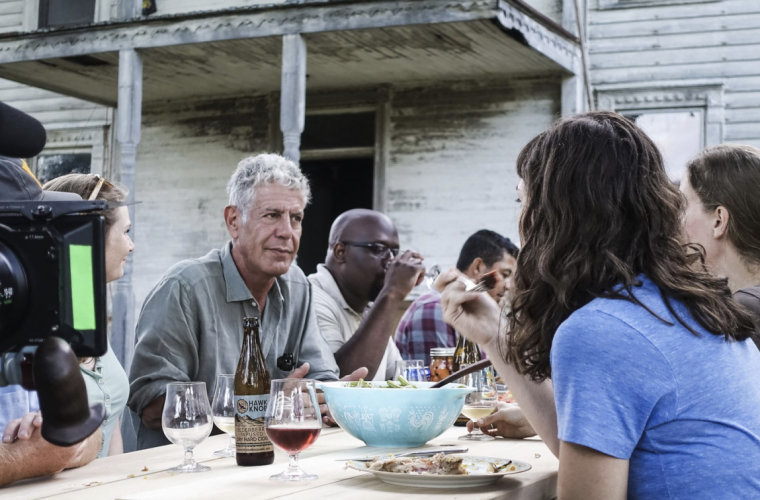 When Bourdain visited Lost Creek Farm, I knew who he was. It took his tragic death for me to understand why he truly mattered. West Virginia’s arts and culture just got a boost through a federal grant. The National Endowment for the Arts, or NEA, awarded West Virginia nearly $800,000 this week to support programs that aim to preserve the state’s cultural history and promote arts education.